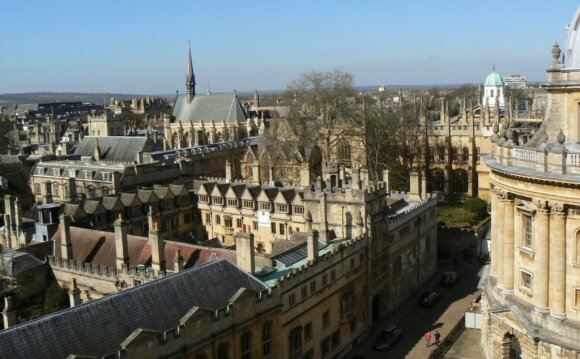 Oxford University is a unique and historic institution, the oldest university in the English-speaking world, having over nine centuries' continuous existence. There are 38 autonomous colleges, which together form a federation making up the University of Oxford. Please remember that colleges are places of residence, work and study, and you are asked not to enter staircases, college rooms and areas marked as private. Perhaps the most famous college is Christ Church whose Great Hall inspired Hogwarts Hall in the Harry Potter movie and whose meadow is grazed by rare breed cattle. But Magdalen, whose tower dominates the High Street, is equally famous. Everyone has their favourite college: St Hilda's overlooks the river, St Edmund Hall has an atmospheric crypt; Jesus' wisteria is second to none; Brasenose's gardens are stunning; Merton's library is so old that even its ghost is said to have no feet - indicating the floor level has risen; St John's has a rockery and its own Keeper of the Groves; Queen's embraces medieval cottages...and so on. Most are open to visitors in the afternoon. Some are free while others charge a small fee. The Bodleian Library is the largest university library in the UK holding over nine million printed items. In its reading rooms, generations of famous scholars have studied through the ages among them 5 Kings, 40 Nobel Prize winners, 25 British Prime Ministers and writers including Oscar Wilde, CS Lewis and JRR Tolkien. Here you can also visit the The Divinity School and see the Radcliffe Camera - Oxford's most famous building.